COCOA, Florida - Detectives with the Cocoa Police Department are investigating two separate suspected arsons in one local neighborhood that police say may be the work of the same person. A short time after the neighbor witnessed the fire, his neighbors' trailer was on fire along with a vehicle parked next door to the trailer. The homeowner was asleep inside his residence at the time the fire started. There were no injuries as a result of the fire and damage was moderate. Just after 4 a.m. on Monday, detectives responded to another fire on Nomad Street, which is two blocks away from Spartan Street. Four males at home were awoken by the sound of glass breaking. When they went to investigate the sound, they found that the front door of their trailer was on fire. The fire was extinguished before major damage was done. There were no injuries. Investigators say that both fires appear to be deliberately set and were done during the overnight hours when residents were home sleeping. 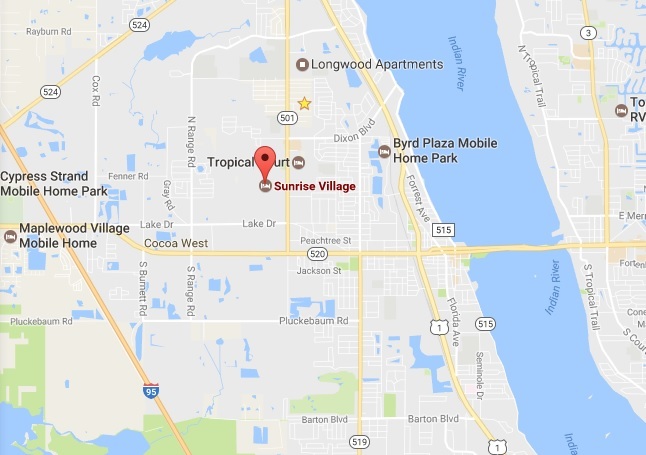 Residents in the Sunrise Village community are asked to immediately report suspicious activity such as any unusual behavior, unfamiliar vehicles or persons in the area. Anyone with information that can help detectives with the investigation is asked to contact the Cocoa Police Department at 321-639-2620 or Crimeline at 1-800-423-TIPS (8477). Crimeline callers can remain anonymous and can be eligible for cash rewards of up to $1,000 in this case.